An addition to my Peter Blake collection. Sir Peter Blake is best-known for the cover to The Beatles’ “Sgt. Pepper’s Lonely Heart Club Band” album which he designed together with his then wife Jann Haworth and photographer Michael Cooper. 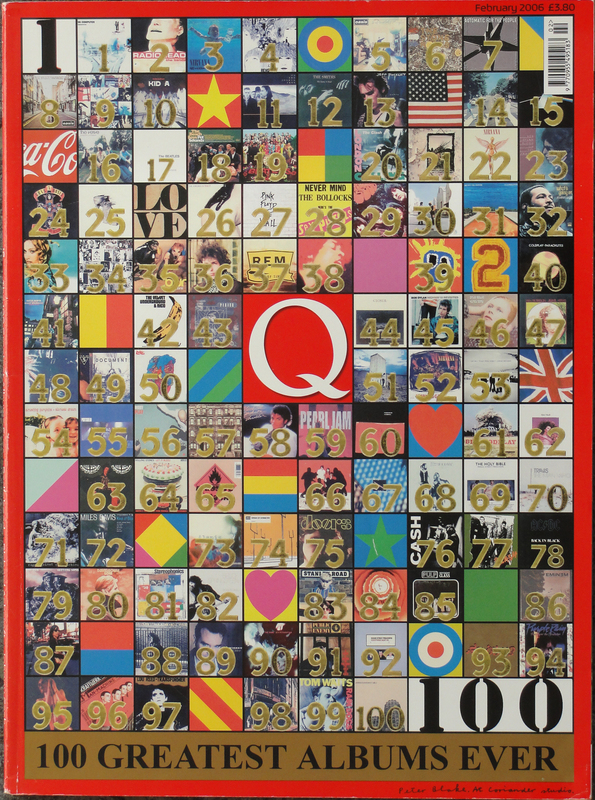 In the forty-six years since that cover was released, Peter Blake has only designed 22 more covers of which 19 were actually released. One of the better-known released covers is the design for the “Do The Know It’s Christmas” single, released in 1984. 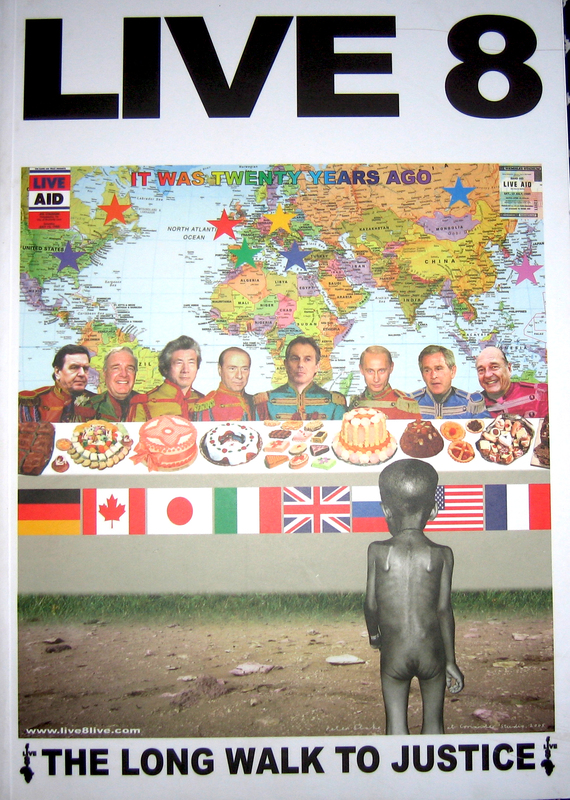 What is less well-known is that Peter Blake also designed the poster and programme for the Live Aid and Live 8 concerts. Until last month, I had not heard that he had also designed the cover for Q Magazine’s February 2006 issue that published a list of the 100 greatest albums of all time. A copy of this classic Peter Blake design arrived last week, complete with targets, flags, drink logos and pictures of the record covers, so that I didn’t need to open the magazine to see that Radiohead’s “O.K. Computer” was voted best album of all time. By the way, it’s not an album I like at all. Peter Blake is quoted in the magazine as saying his favourite is Talking Heads’ “Remain in Light”, but that isn’t in Q’s list. Another piece of useless information is that Peter Blake is, to my knowledge, only the second cover designer to actually appear on a cover that he had a hand in designing. He apears, dressed as Moses, on the cover of Madness’ de luxe compilation “Oui Oui, Si Si, Ja Ja, Da Da”. The other artist was Martin Kann, a Swedish designer responsible for most of the cover art for the Swedish band bob hund. He put himself on the cover of bob hund’s 1996 album “Omslag: Martin Kann” (literally – Cover: Martin Kann). I know that Andy Warhol’s portrait has appeared on several covers, but none on which he has had a hand in designing.